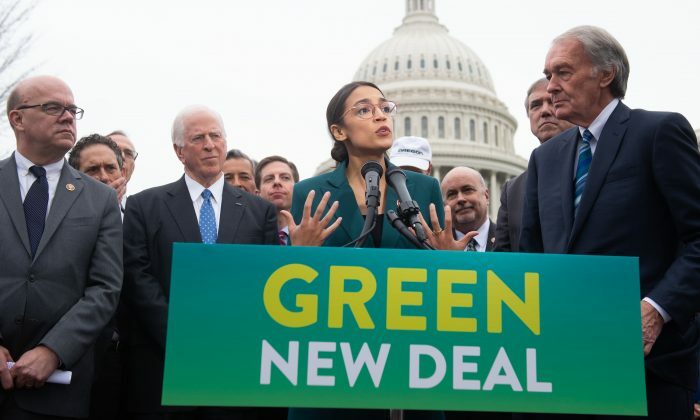 This article is Part 2 of a two-part series on the “Green New Deal.” Also see ‘Green New Deal’ Could Plunge the World Into War: Part 1. In reality the Green New Deal is a deeply socialist plan formulated and promoted by bona fide communist groups. The Green New Deal, which only a few years ago would have been labelled as crackpot utopianism, is heralded on the left as a serious program for addressing environmental issues and social inequalities. So far House Speaker Nancy Pelosi has balked at Ocasio-Cortez’s call for a Congressional Select Committee on the Green New Deal—but the idea still has momentum. Christy Goldfuss, who was the managing director of the Council on Environmental Quality under President Barack Obama and now leads the energy and environmental team at the Democratic Party’s think tank the Center for American Progress, told the New Yorker that she had noticed the Green New Deal’s influence on senior Democrats. The Green New Deal, which “has come to define the progressive cause in Washington,” according to the New Yorker, has existed in several forms for years. The proposal echoes a United Nations Environment Program (UNEP) report from October 2008, when UNEP’s Executive Director Achim Steiner unveiled the Global Green New Deal initiative, which aimed at transforming the world’s economy and combating climate change through creating jobs in “green” industries. The Green Party USA has also promoted a Green New Deal, which includes massive defense cuts, for several years. Significantly, the Manhattan-based Rosa Luxemburg Stiftung (RLS) has discussed the concept since at least 2013. “A Green New Deal is concerned with a just transition to a more sustainable economy, with improved provision of public services, and with strict regulation of polluters and financial speculators. While there is much promise in this approach, it contains unresolved contradictions and has been blocked by hostile forces. Moreover, it is unclear whether this agenda is adequate to the challenge posed by climate change,” stated the introduction to an RLS report. The RLS is the American affiliate of the Berlin-based Rosa Luxemburg Foundation, a wholly owned affiliate of German political party Die Linke (The Left)—a direct descendant of the former Stalinist East German Communist Party. The RLS works closely with the United States’ largest Marxist organization, the Democratic Socialists of America (DSA), and the pro-China Freedom Road Socialist Organization (FRSO), as well as the Communist Party USA (CPUSA), all of which are fully behind the Green New Deal. Who’s Behind the Green New Deal? According to Momentum’s website: “We see two dominant traditions of organizing in the United States: structure-based organizing and mass protest. In the structure-based tradition, developed by Saul Alinsky and others, organizers start with one-on-one relationships to develop leadership and build a base that can advocate for the needs of particular constituencies. Structure-based organizations, such as community organizations and labor unions, make instrumental demands, using the base’s leverage over policymakers to win concrete reforms for their members. By contrast, in the mass protest tradition, autonomous groups of individuals create polarizing moments that inspire thousands of unaffiliated people to take to the streets around symbolic, popular social issues. Momentum boasts of training activists from groups “doing some of the most important movement-building” in the United States, including “Black Lives Matter, Dream Defenders, BYP100, United We Dream, Showing Up For Racial Justice, 350.org, National People’s Action, PICO, and more.” All of these groups are front groups or close affiliates of the FRSO. The Sunrise Movement, with established groups in several major cities, is the main cheerleader for the Green New Deal. Sunrise has heavily recruited activists from the DSA- and FRSO-affiliated groups, such as the Pennsylvania Student Power Network. 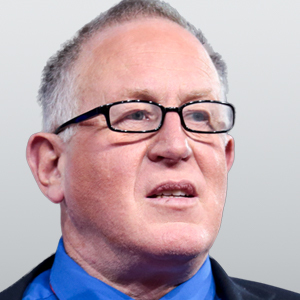 For instance, Stephen O’Hanlon is a former member of the Pennsylvania Student Power Network and founder and national field director of the Sunrise Movement. The Sunrise Movement is openly endorsed by the DSA and several FRSO-affiliated groups, including Bay Area-based Green For All, which was founded by one-time Maoist and former Obama administration “green jobs czar” Van Jones. The Justice Democrats, then co-run by Ocasio-Cortez (before she decided to run for Congress and join the DSA), backed dozens of far-left Democrats in the last election cycle, electing seven of them. Over 40 percent of their 78 endorsed candidates were either DSA members or endorsees. Several more were from the FRSO or CPUSA orbits. The Justice Democrats also partnered closely with Brand New Congress, which is governed largely by DSA members. New Consensus provides the theoretical backbone for the Green New Deal. According to E&E News: “A policy group is being formed to support an energized progressive movement that’s taken Capitol Hill by storm under the leadership of Rep.-elect Alexandria Ocasio-Cortez (D-N.Y.). “It’s called the New Consensus. “The 501c(3) nonprofit is in the process of being formed to provide a policy platform that will underpin the ambitious—and increasingly politically popular—Green New Deal aimed at weaning the United States off fossil fuels, boosting renewables and clean energy jobs, and building a ‘smart’ grid. Gunn-Wright was a policy team intern for former first lady Michelle Obama. In 2018, she served as policy director for the far-left Abdul El-Sayed in his unsuccessful gubernatorial run in Michigan. Gunn-Wright put together a “uniquely comprehensive suite of policy proposals, including a commitment to establishing a $15 minimum wage; tuition-free college for Michiganders with family income under $150,000; aggressive criminal justice reform; and the most detailed state-level single-payer health care plan ever,” according to The Intercept. El-Sayed’s Deputy Campaign Manager Claire Sandberg traveled to Germany in September 2018 with DSA member and RLS staffer Winnie Wong. The pair held a meeting in the German Bundestag with members of the crypto-communist organization Die Linke. Sandberg was also a founder of another short-lived Momentum spinoff, “We Will Replace You,” which aimed to target “centrist” Democrats not on board with the far-left’s agenda. One of her fellow co-founders, Waleed Shahid, was a Momentum leader, spokesman for the Justice Democrats, and served as policy director on Cynthia Nixon’s DSA-endorsed campaign for governor of New York. FRSO General Secretary Sendolo Diaminah served as an official “adviser” to We Will Replace You. The Green New Deal is a thoroughly socialist program conceived of and promoted by communists. The DSA, FRSO, and CPUSA are all behind the Green New Deal. Even the Stalinist League of Revolutionaries for a New America, which supports North Korea, Iran, and the Russian annexation of part of the Ukraine, has backed the plan. It’s not surprising that communists are behind the Green New Deal. What is shocking is how many Democrats are willing to run with it. Some are even saying it will feature heavily in their 2020 campaign.